A few days back a teaser of the much awaited film Kabir Singh dropped online. The teaser showed lead star Shahid Kapoor as an alcoholic and an addict to cigarettes. The fans were surprised to see Shahid in the new avatar and were impressed by his body language. Not many know that Shahid is a teetotaler in real life. The actor for the role had to smoke cigarettes, beedis, openly say curse words, snort cocaine and more for a major portion of the film. The 38 year old star revealed that before going home to his children Misha and Zain, the actor used to take a shower for almost two hours everyday. The Padmaavat actor said, “I don’t endorse smoking at all. However, the role required it as the protagonist uses it to channel his angst and rage. It wasn’t easy and it came to a point where I smoked almost 20 cigarettes a day. It would take me close to two hours to shower and get rid of the smells before I could return home to my children”. 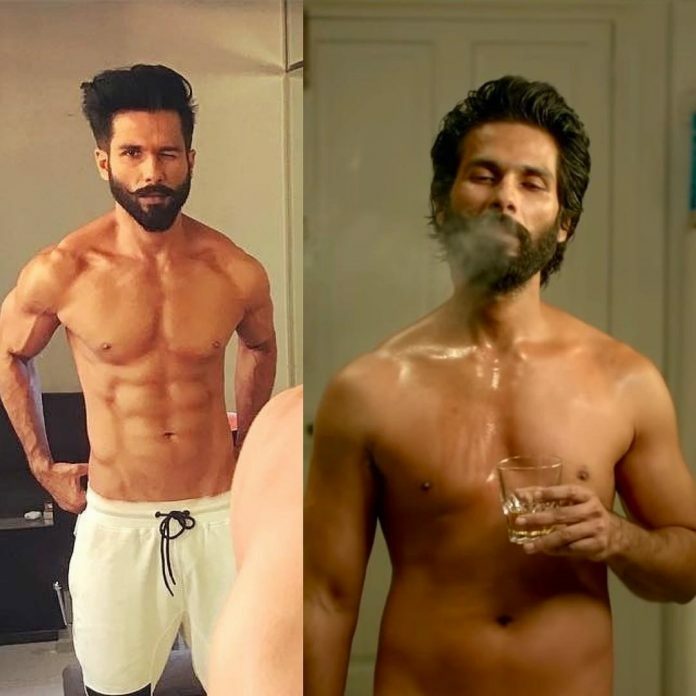 One portion of the film has shown Shahid as a college going boy for which he shed 40 kgs while the other portion of the film has shown him as a surgeon who is on the path to self destruction after his girlfriend Kiara Advani get married to someone else. Kabir Singh will be released in theatres on June 21, 2019.